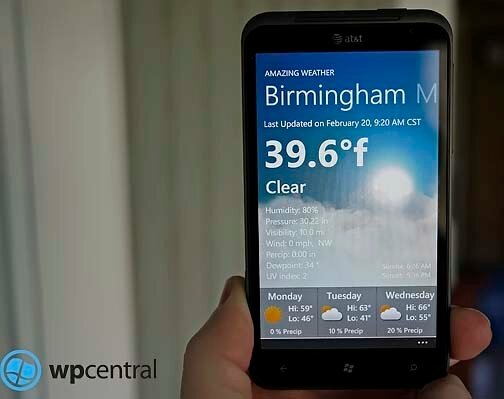 Amazing Weather is wonderful weather app for your Windows Phone. 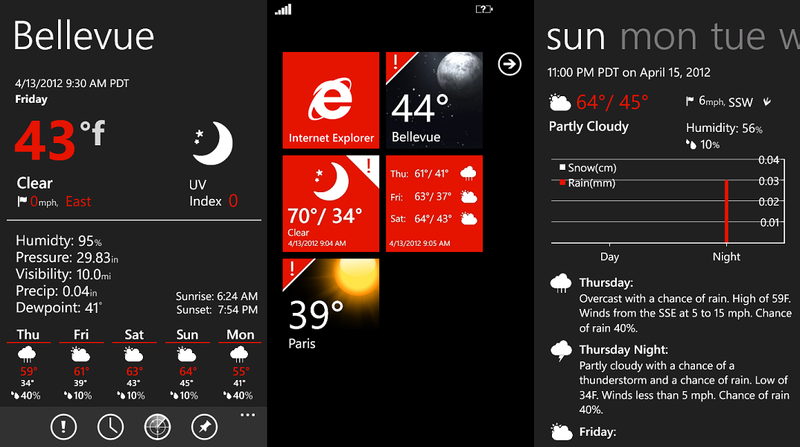 The weather app brings everything from current conditions to weekly forecasts to weather radar to your Windows Phone. The Amazing Weather developers are hard at work on version 3.0 of Amazing Weather that will bring themes, weather alerts, offline mode, auto location detection, and a refined user interface to the mix. But they need your help. Amazing Weather needs translators for as many languages as they can find. If you care to translate weather terms into the various languages you know, just shoot Eizsoft an email at amazingweather@eizsoft.com with TRANSLATION as the subject line. In return for your help, you'll get a thanks in the About Screen of Amazing Weather and a free Beta copy. If you're not familiar with Amazing Weather, there is a free trial version available and the full version is running $1.29. You can find it here at the Windows Phone Marketplace.